Affordable, comfortable, and sporty inside and out, the 2017 Ford Focus has a lot to offer the everyday driver. 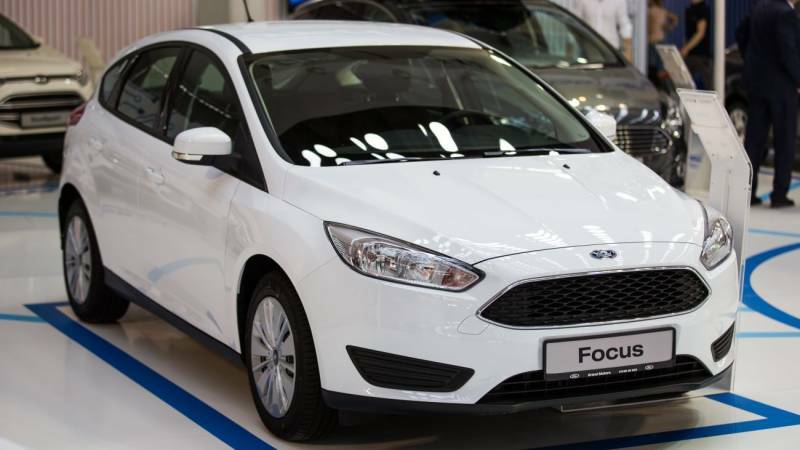 The Focus manages to be simultaneously high-tech and user-friendly, making it one of the most popular new vehicles on the market. Although the Focus was last redesigned in 2012, it still manages to be a major competitor in its class and retains its contemporary appeal. Despite poor acceleration from the 1.0-L engine and a cramped back seat, the Focus is still a great choice if you’re looking to buy a hatchback or small sedan. There is also an electric version available if you are thinking about making the switch to an electric-powered small sedan or hatchback. The 2017 Ford Focus has four trim levels, the S, SE, SEL, and Titanium. The S, SEL, and Titanium all come with a standard 2.0L 4-cylinder flex-fuel engine that generates 160-hp and 146 lb-ft of torque. The SE has an optional EcoBoost 1.0L 3-cylinder engine that generates 123-hp and 125 lb-ft of torque. As far as transmissions go, you can get a 5-speed manual transmission on the S, a 6-speed manual transmission on the SE, and a 6-speed automatic transmission on the SEL and Titanium trims. All trims come standard with front-wheel drive. As far as acceleration goes, your best bet is the SE trim with a manual transmission, since it gets from 0 to 60 mph in about 8.3 seconds. The SE with an automatic transmission gets from 0 to 60 mph in an unimpressive 9 seconds, which is considerably slow for this segment. In fact, many of the Ford Focus’ top competitors in this class outperform it in terms of acceleration. If you opt for the Ford Focus Electric model, you get a 107-kilowatt, 143-hp electric drive motor that is powered by a 23-kWh lithium-ion battery pack. The Electric can go from 0 to 60 mph in roughly 9.6 seconds, which is considered average for an electric model. Charging it on a 240-volt home charger takes approximately 4 hours, and it has a driving range of about 76 miles, which puts it below some of its electric competitors. There are also a number of optional safety features, including the Titanium trims Technology package, which adds a lane departure warning system and blind-spot monitoring system that features a rear cross-traffic alert. In addition, the 2017 Ford Focus has quite a few technological features. Standard on the S trim is 4.2-inch central display, power locks and mirrors, power front windows, Bluetooth capabilities, Sync voice controls, two USB ports, and a 4-speaker audio system. The SE features a 6-speaker sound system with satellite radio, while the SEL kicks it up a notch with a 10-speaker audio system, 8-inch touchscreen monitor, and the Sync 3 infotainment system. The Titanium trim features the same entertainment technology and adds keyless entry and ignition, remote start, and a heated steering wheel for extra comfort. The 2017 Ford Focus has a lot to offer, but it lacks some of the spaciousness offered by competitors like the 2017 Honda Civic. Redesigned in 2016, the 2017 Honda Civic has a slightly more up-to-date feel. As typical of the Honda brand, the Civic returns excellent fuel economy, is a nearly perfect combination of sportiness and comfort, and has a plethora of advanced standard and optional technological and safety features. In comparison with the 2017 Mazda 3, the 2017 Ford Focus fails to stack up in terms of acceleration. The Mazda 3 hatchback with a 2.5L engine can get from 0 to 60 mph in just 7.5 seconds, which ranks right at the top of the class. The 2.0L sedan also does well, getting from 0 to 60 mph in 8.3 seconds. Fuel economy is comparable between the Mazda 3 and Ford Focus. The Mazda 3 gives a rougher ride than the Ford Focus when it is equipped with 18-inch wheels, but its new G-Vectoring Control helps to stabilize the vehicle’s handling. As far as how the Ford Focus Electric stacks up to other vehicles in its class, you will find some better options out there. The 2017 FIAT 500e hatchback gets from 0 to 60 mph in a solid 8.2 seconds, and it provides a quiet and smooth ride overall. The 2017 Chevrolet Bolt EV is really the electric automobile to consider, as it puts the Focus, and most other EVs, to shame with its 238-mile electric range. The Bolt also offers impeccably precise steering and handling that is somewhat lacking in the Ford Focus Electric. If you are concerned about getting a good return on fuel, the 2017 Ford Focus might be the right car for you. On the 2.0L engine with automatic transmission, the Focus gets about 31 mpg combined, with 27 mpg city/39 mpg highway, and the manual transmission vehicles get approximately 29 mpg combined, with 26 mpg city/36 mpg highway. The 1.0L engine, when paired with an automatic transmission, returns about 32 mpg combined, with 28 mpg city/39 mpg highway. The manual transmission on the 1.0-L seems to return just about 29 combined mpg. This is not a particularly great return on fuel economy for a small sedan equipped with a manual transmission. Overall, the 2017 Ford Focus is a good alternative to some higher-priced vehicles that boast the same fuel economy and safety and technological features. The Focus is, however, in dire need of a redesign in order to keep pace with its competitors. The poor acceleration on all of the Focus’ engines (especially on the 1.0L engine option) might be a major deterrent for buyers looking for a high-powered vehicle with quick acceleration. If you are thinking about buying a new small sedan or hatchback and are looking to stay within a tight budget, the 2017 Ford Focus might be worth taking out for a test-drive.